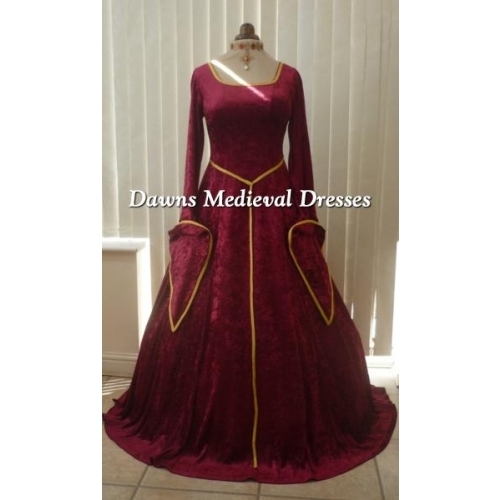 The sleeves are amazing, top section is made form the black velvet with a band of burgundy braid. 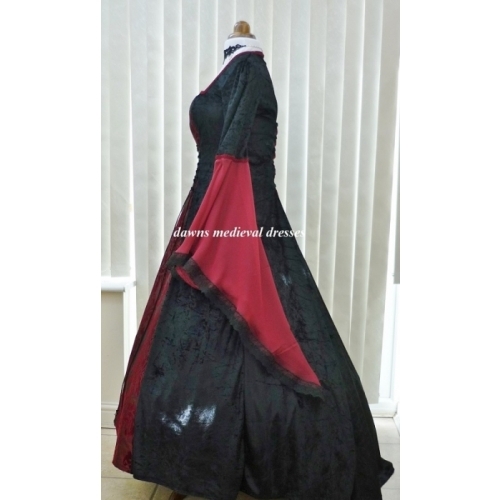 Bottom section are made from burgundy chiffon fabric in a wide long bell shape and trimmed with black lace, these have a wonderful soft flowing feel. 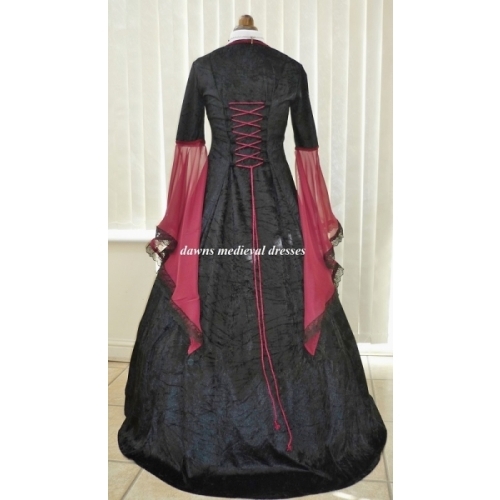 The front and back has a corset type lacing .....this enables you to tighten or loosen the dress to get the perfect fit for you .....i have supplied black for the front with burgundy for the back as this add's more definition to your dress . 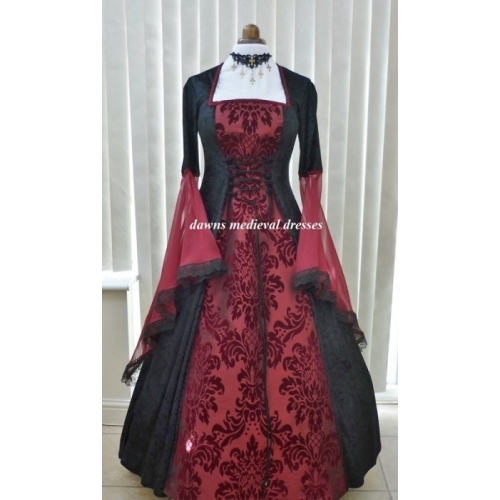 Dress has been displayed with a single hoop underskirt , sorry this is not included , you are buying the dress only. 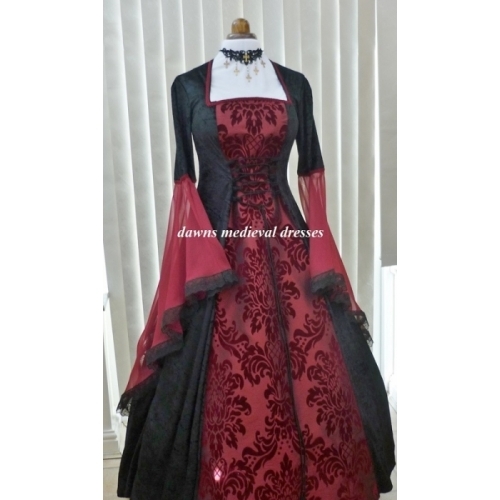 If you like the style of dress but would prefer a different colour please do email me and i will assit you in any way i can to create your dream dress .